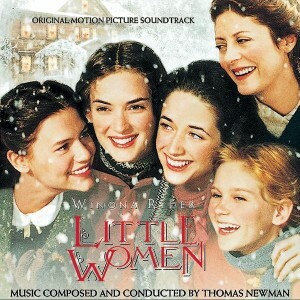 Little Women is one of those scores that just sounds like liquefied Christmas. You put it on and snow starts falling, the smell of pine and burning wood fill the room, and you’re suddenly transported to Louisa May Alcott’s Orchard House in Concord. The music tells its own story—about growing up, family bonds, painful losses and reunions, the passing of seasons and the unforgiving march of time—all set in the particular period of 19th century New England.